I am really honored to have been chosen as the 2017-2018 CSU Trustees Scholarship for Outstanding Achievement. The CSU Board of Trustees selects one student from each of the 23 Cal State campuses. I was selected as the William Randolph Hearst Scholar for this academic year, and am delighted to be among some truly inspiring scholars recognized this year. 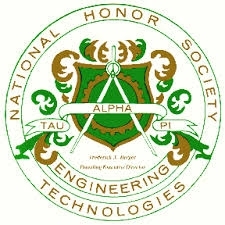 Tau Alpha Pi membership is open to top-performing associate-degree and baccalaureate students in engineering technology programs.To be considered, students need 3 consecutive semesters of GPAs within the top 25% of their graduating class.